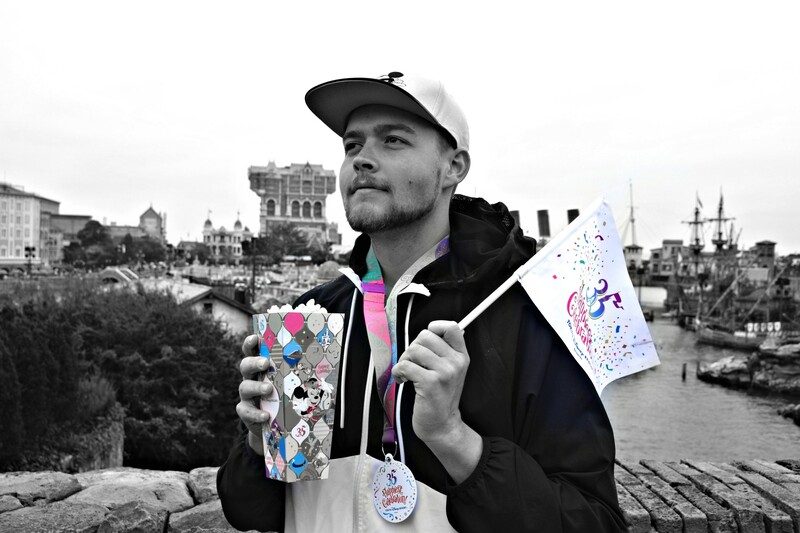 Sven: We just came back from our first park of the European theme park season! 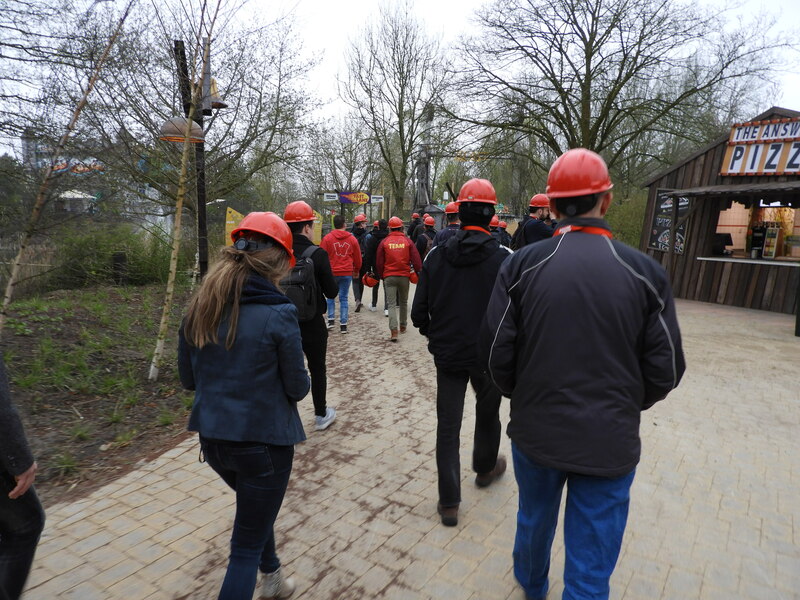 Walibi Holland was so kind to invite us for the opening of Wilderness, a new themed area. 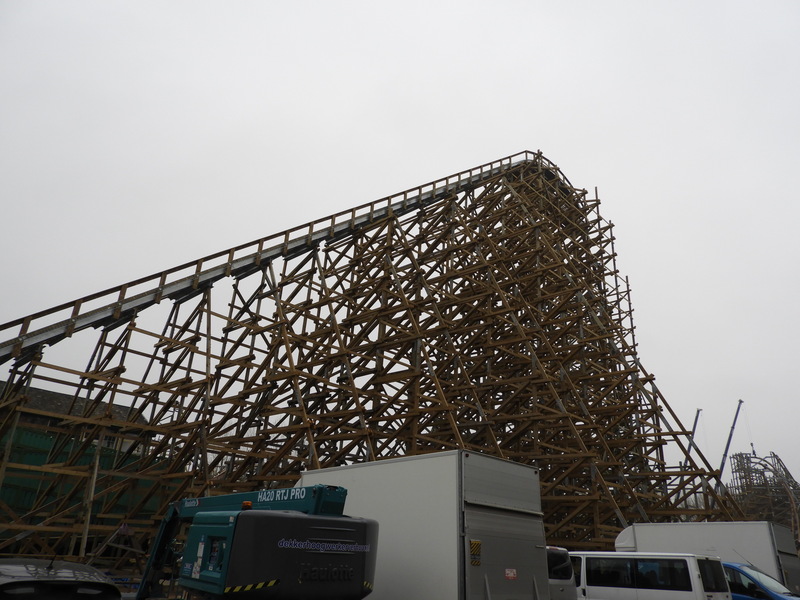 This also included a construction tour of Western-Europe’s first RMC coaster: Untamed! 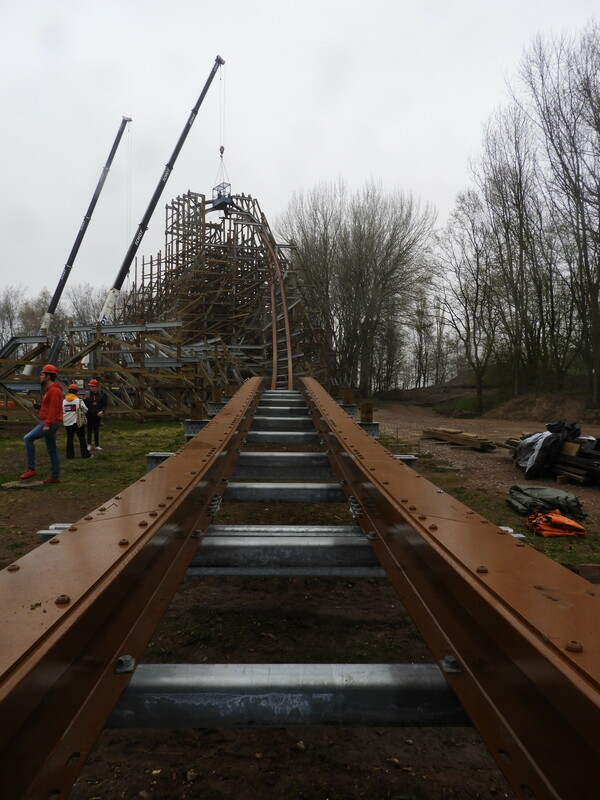 Find out more about this exciting area and ride! 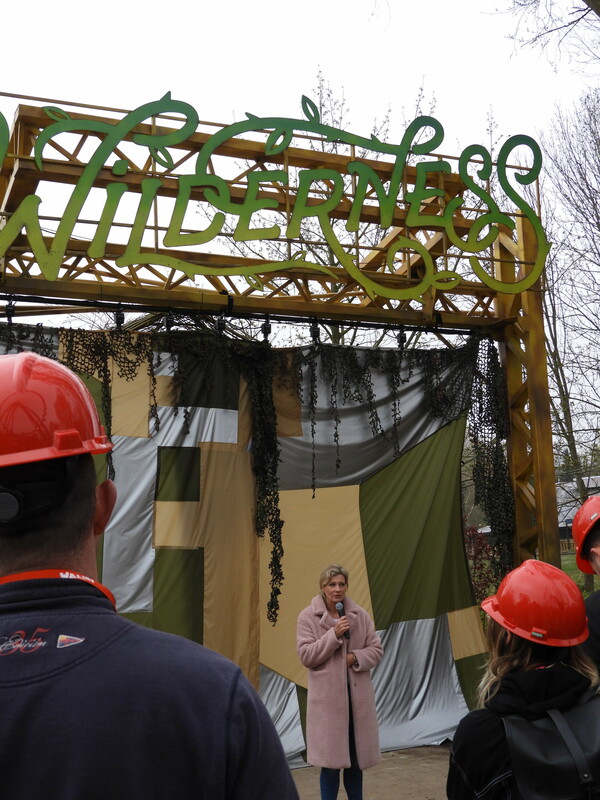 We start with a shot of park director Mascha Van Till who was very excited for the start of the season and the opening of Wilderness. 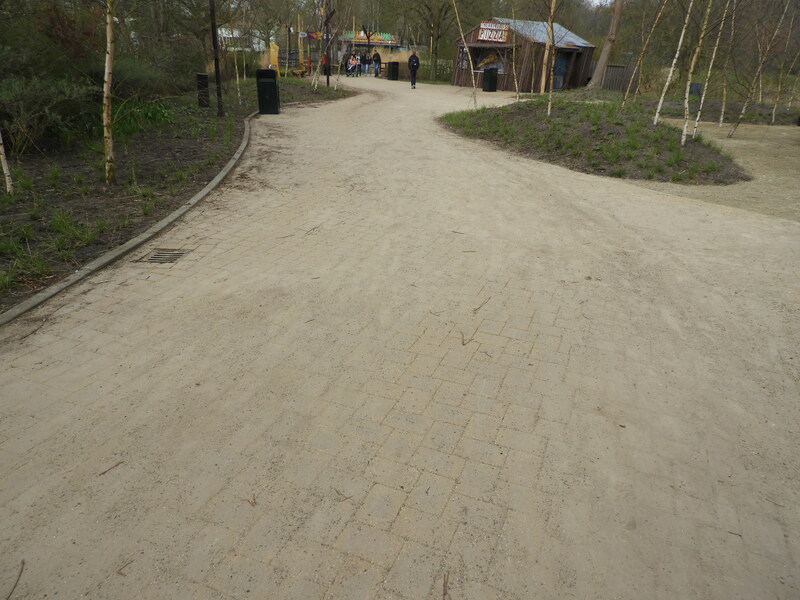 The former Sherwood Forest area had a bit of a transformation to fit with the astonishing ride that’s opening later this year. 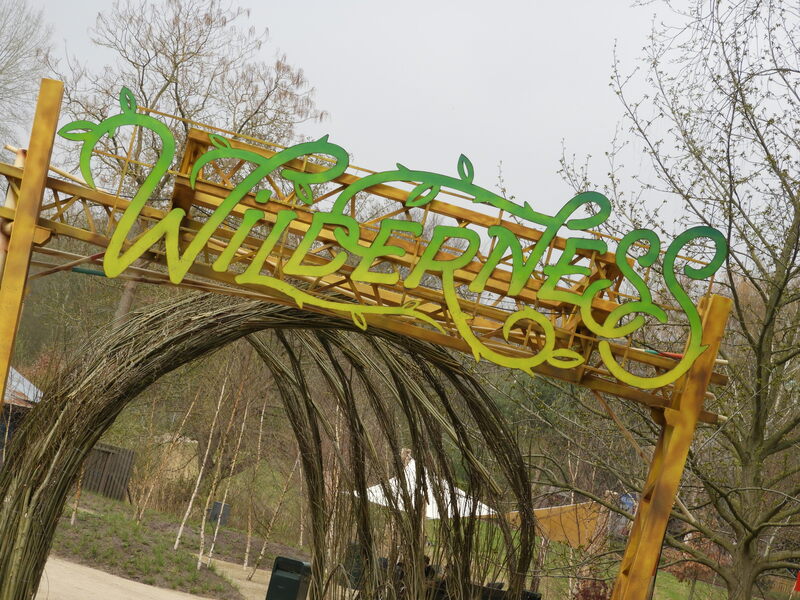 We entered the Wilderness on our way to the main eye catcher of the area: Untamed! 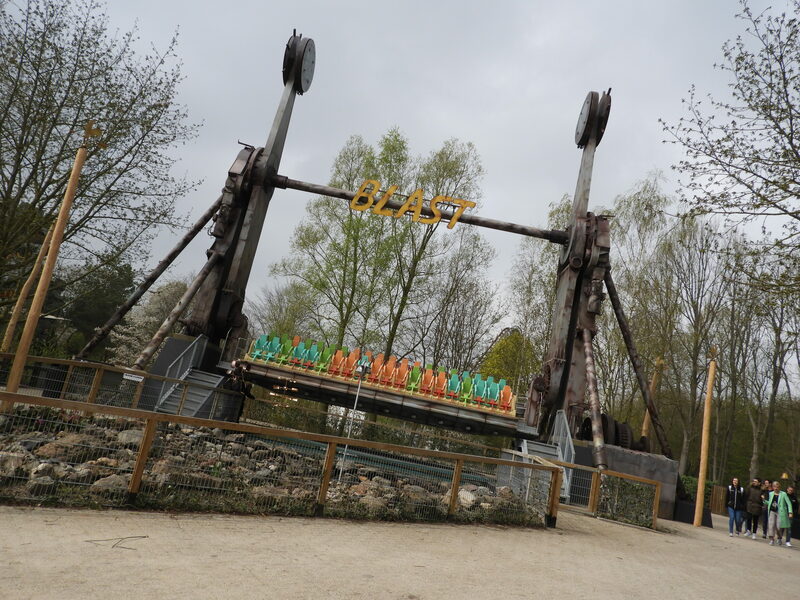 The new themed area is a new phase of the “Festivalization-project” of the park, with the Lost Gravity zone and the entrance area being the first phases. It’s all about coming at ease in a nature environment. 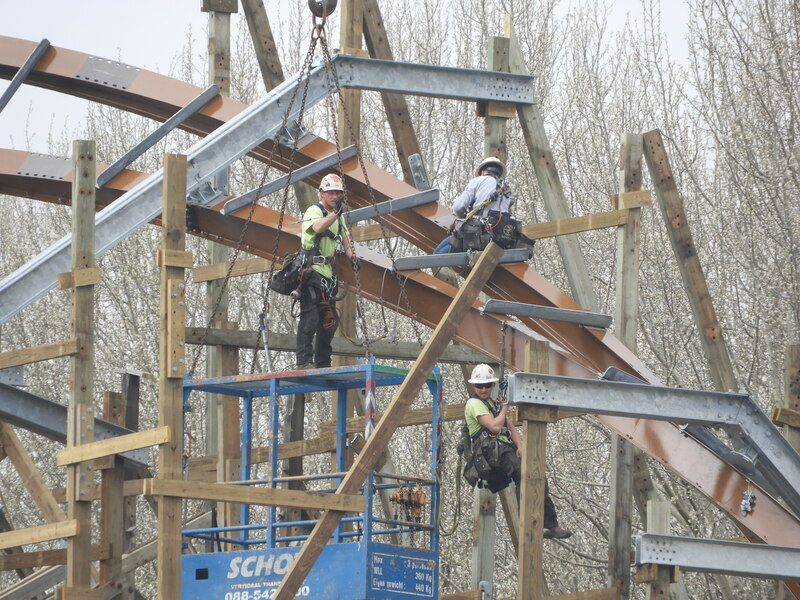 The park has a plan ready right up to 2028! So far, there is already a bit of green but there’s lots more to come. 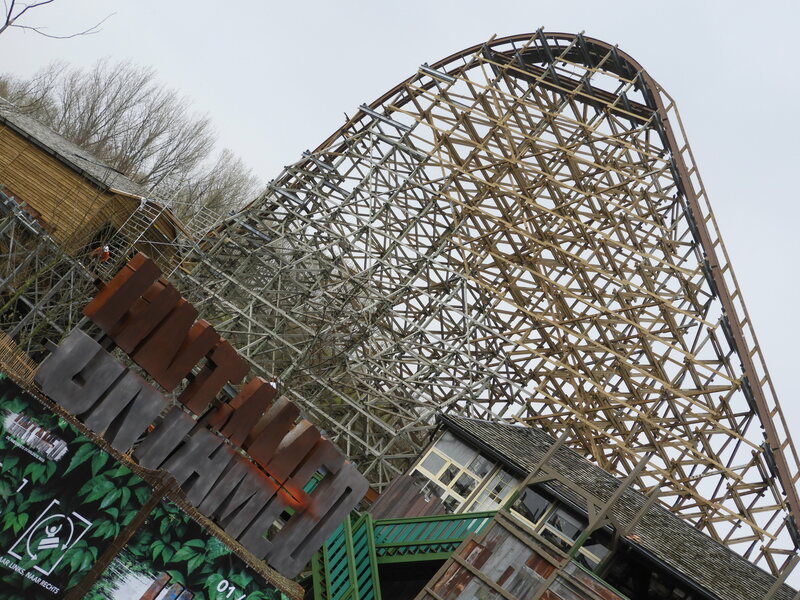 We’ll go more in detail of the area later on, but let’s first head to Untamed! Here, they revealed they revealed the train concept. You clearly see a bug type of creature that will follow along the interesting layout. On the concept video, we also saw glowing eyes so if that will be installed, it will look really cool in the dark. The trains are still on their way, so we only saw this concept. Let’s have a closer look now. 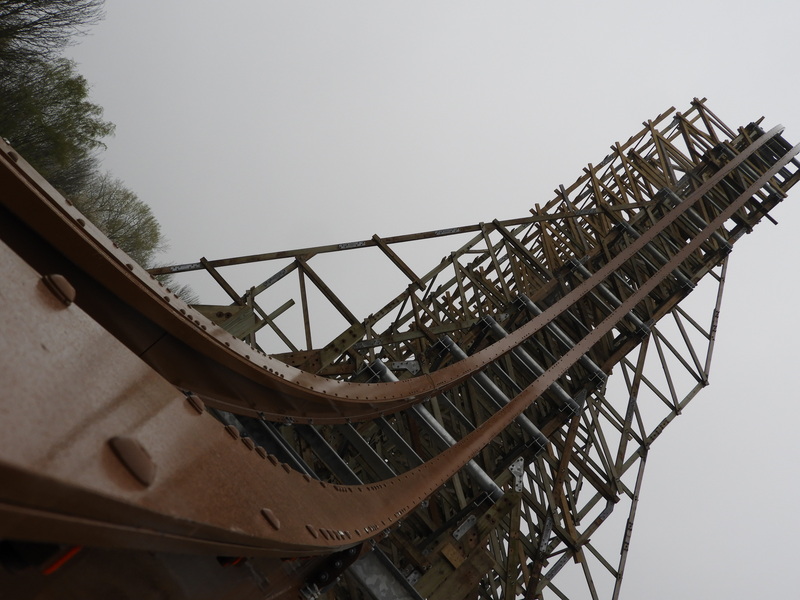 The lift hill went up from 105 feet (32 meter) to 119.8 feet (36.5 meter). It’s clear however that the drop will be a lot more intense. 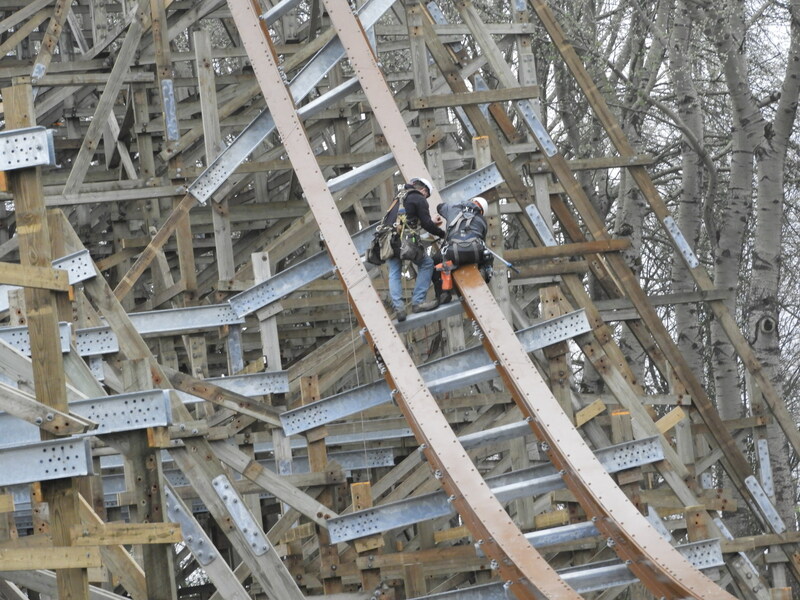 With an 80 degree drop, you’ll go down 116.1 feet (35.4 feet). I’m lovin’ that! 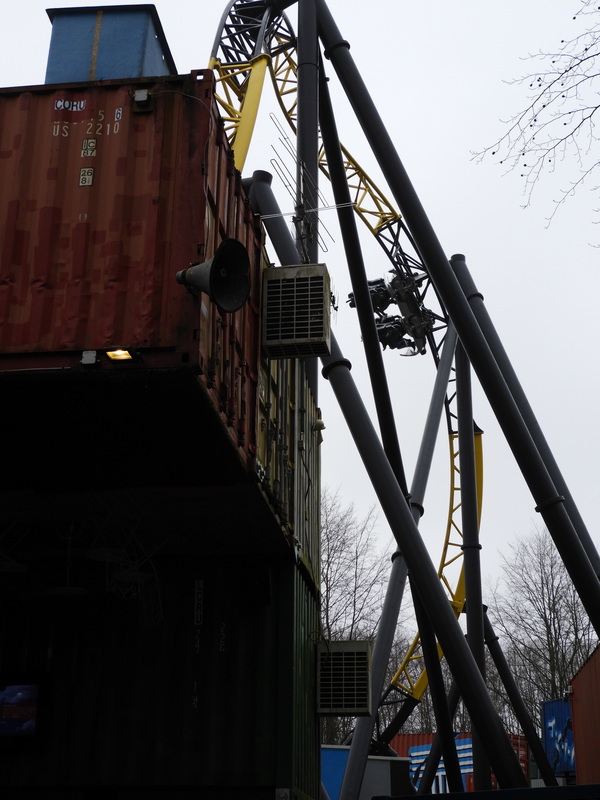 Then after a micro bunny (oh my Easter god), we’ll go into a worldwide exclusive inversion for Untamed. Now that element my kings, looks insane. 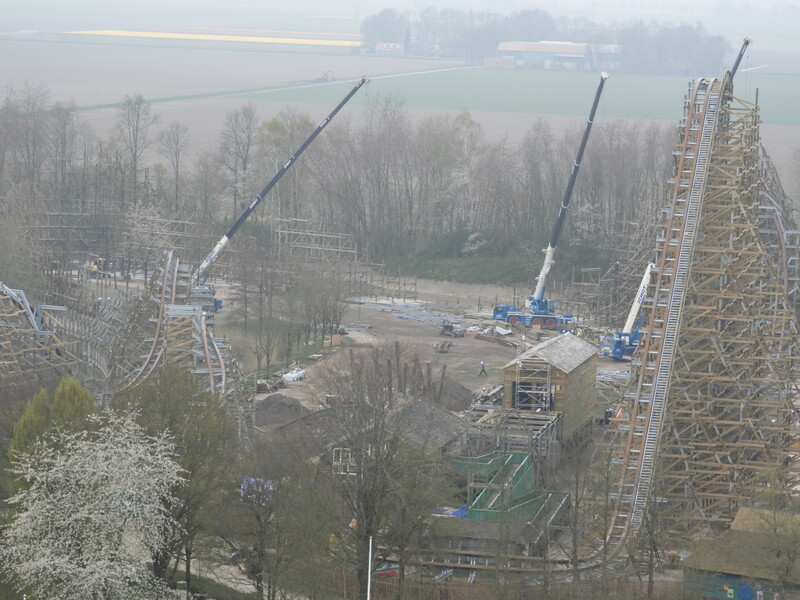 They will reveal what it is in the next Youtube video of the park’s Making Of series. As you can see, they we’re still working on it, even on this grey Saturday morning. 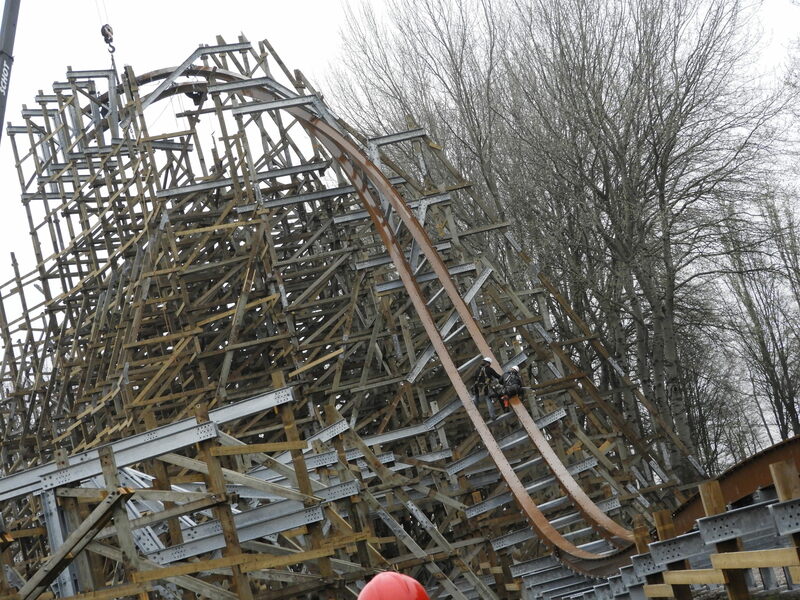 An inversion that was already revealed however, is at the ending of the ride. 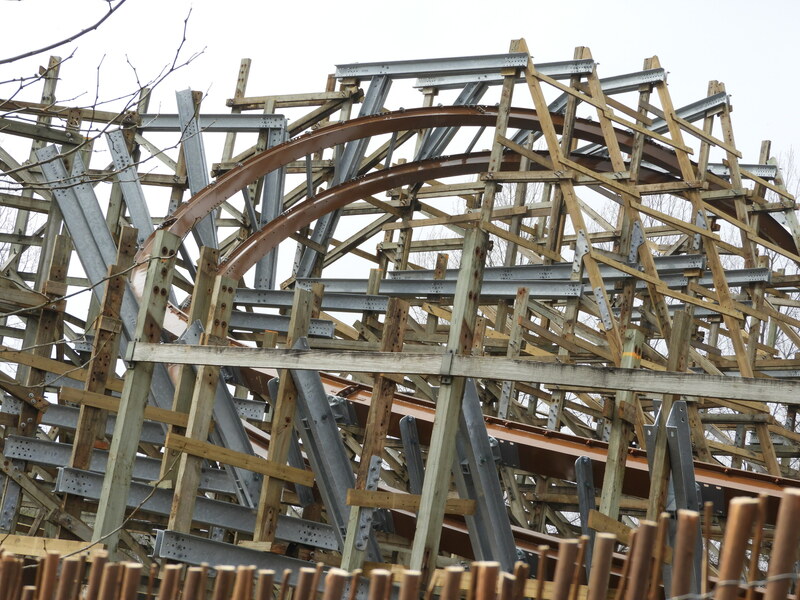 No track yet, but the steel supports show us the Uphill Barrel Roll. Because it’s low to the ground, it will be floating as there’s no structure in it. Now, get ready for the nerd shot! 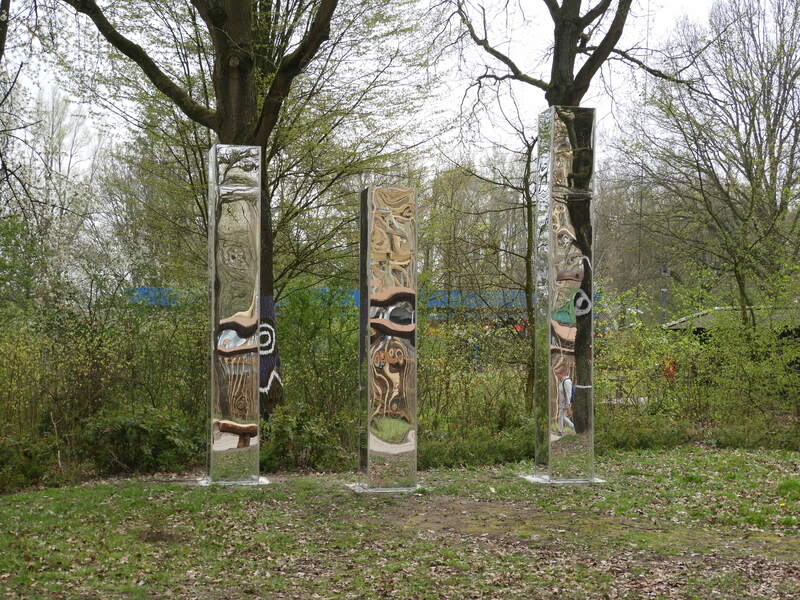 There are more elements already revealed, but we had better shots of those during the day. 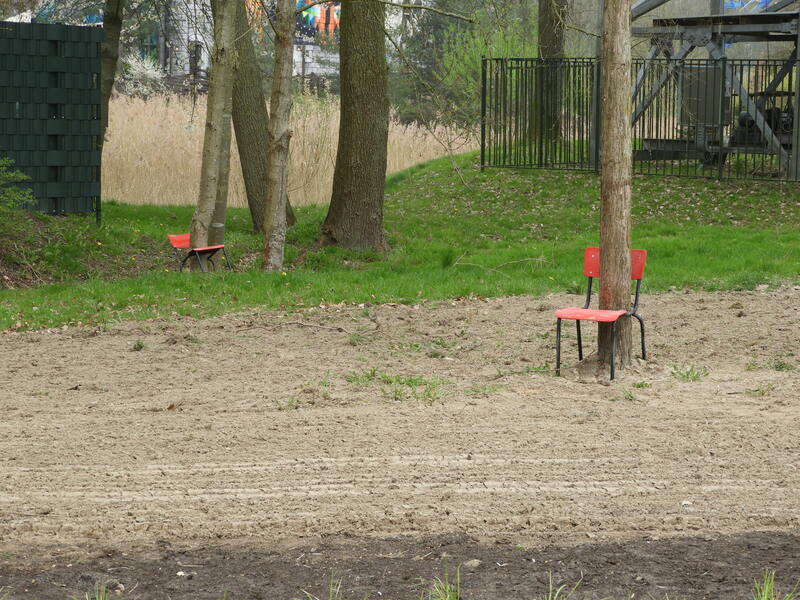 So let’s head back to the park and have a look on how the other rides were doing. Like Lost Gravity! 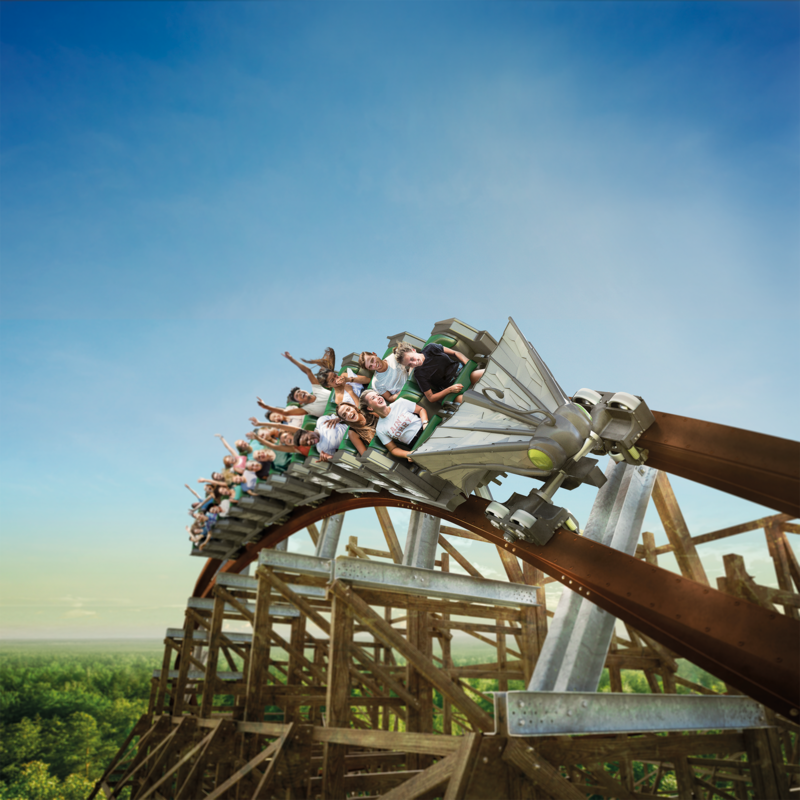 Up till now the best coaster at the park! It was running good and got a bit more forceful since opening. Next up: Xpress – Platform 13. A wonderful ride and we couldn’t stop ourselves by singing “Dude Looks Like A Lady” while riding. 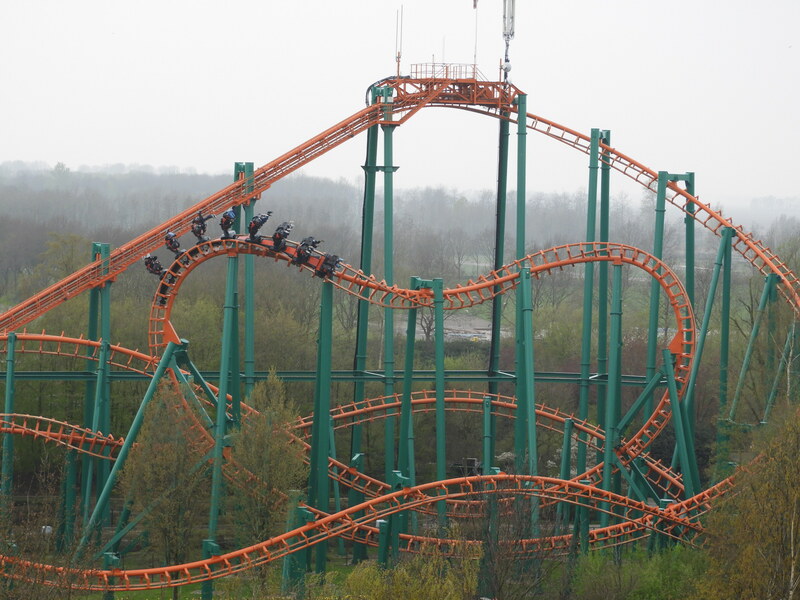 And then probably the most iconic ride though: Goliath! 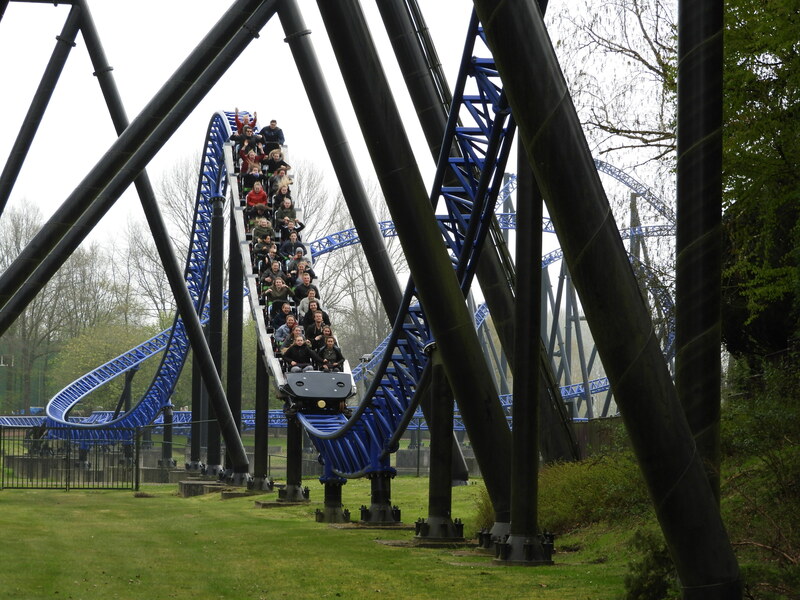 The version at Walibi Holland definitely packs a punch with loads of (h)airtime moments. One that we didn’t ride is Condor. 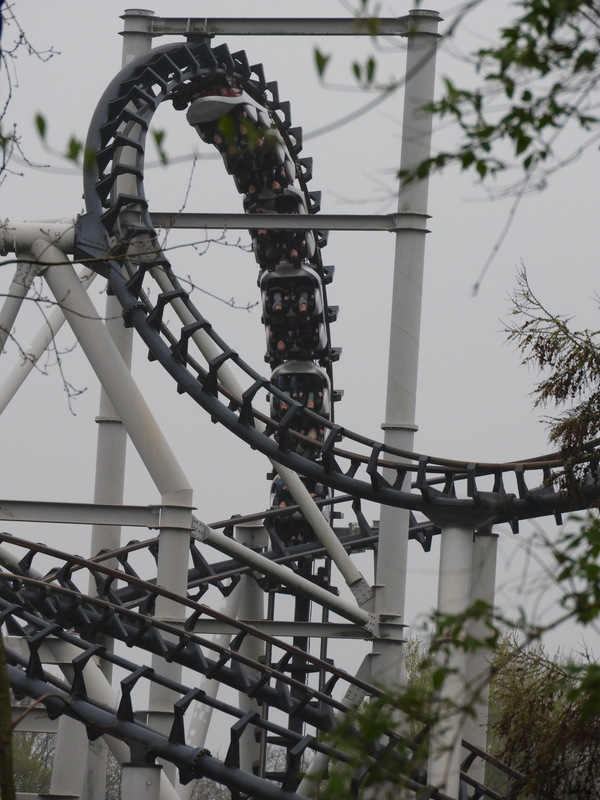 You probably know that I’m not a big fan of SLC coaster and especially not the first one. Mascha told us however that they are still working on improving it though. 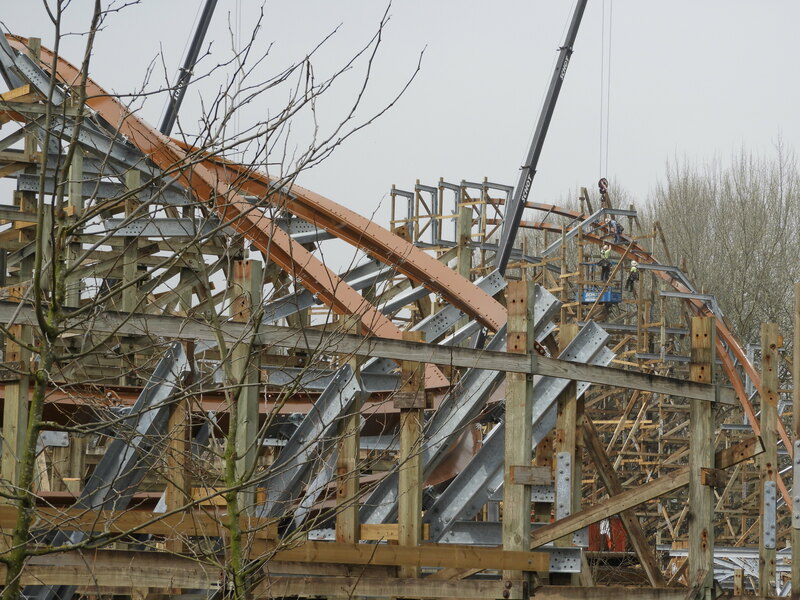 You’ll hear about that and more in our small interview that will be in the next Coaster Kings Radio soon! (Which explains the delay). As you can see, we are in the Ferris Wheel which gave a nice overview of the Untamed layout. There was no chance of riding just yet. 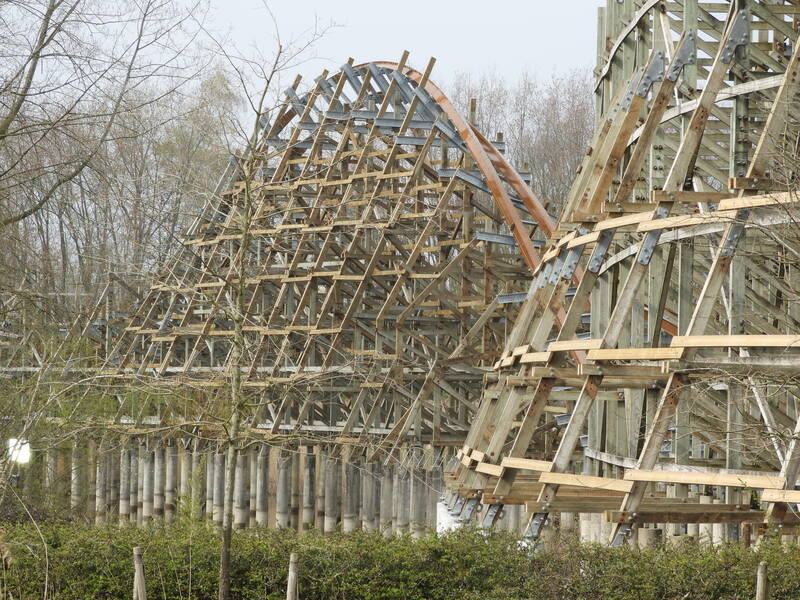 Not only because of no trains, but also especially in the furthest part of the park, the ride isn’t ready yet. Another inversion that we do know about is the Step-Up Under Flip. An element which you might know from The Joker at Six Flags Discovery Kingdom. We’ll get a closer look at those elements lower to the ground, but to do so, we have to pass through the Wilderness area! On the path, you’ll see a lot more dirt which might look unfinished, but it’s actually the goal as nature takes over. 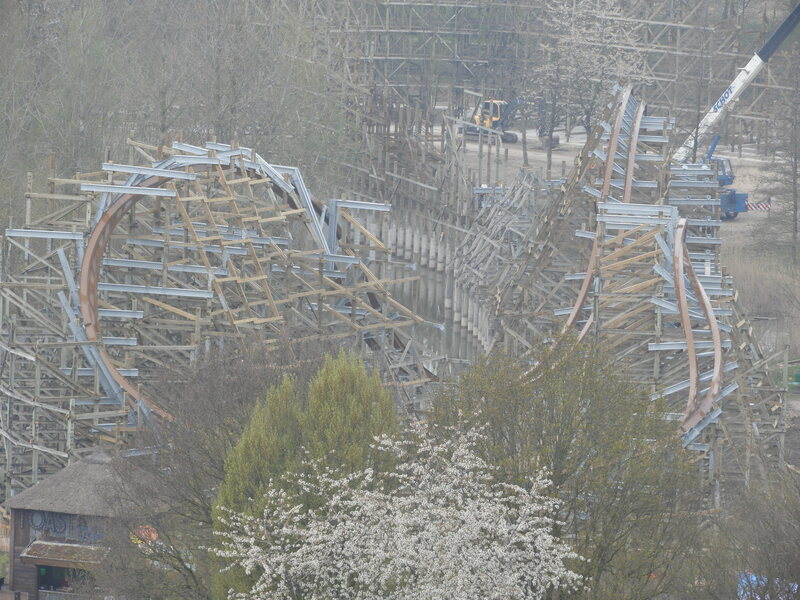 The Top Spin got a new name: Blast! Unfortunately, they had a lot of troubles operating it so it was closed almost the whole day. It’s not the first time that they have issues, so hopefully they can fix it for the busy days. The retheming looks pretty good though. 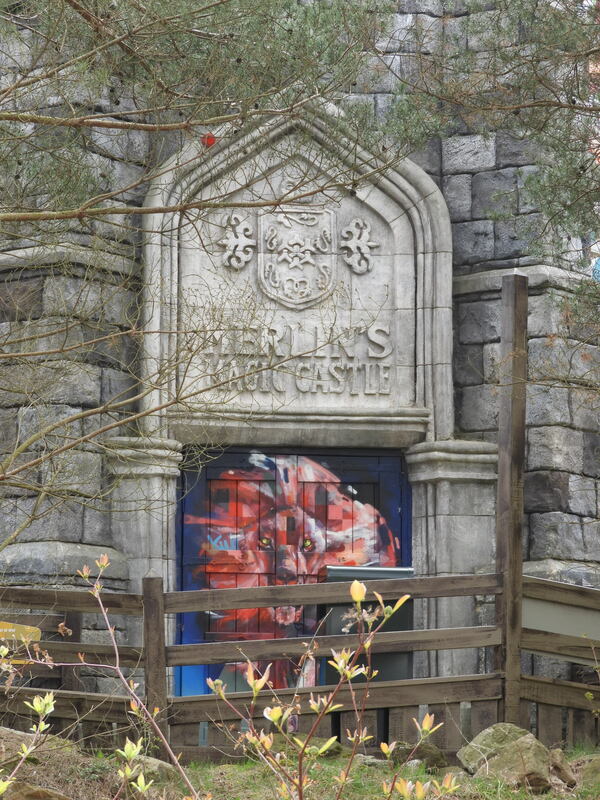 As for the rest of the area, especially Merlin’s Castle got an interesting paint job. Many won’t like it, but in real life, it doesn’t look that bad actually. The only downside for me is that it doesn’t really fit with the ride experience. Also, mind the lamps! 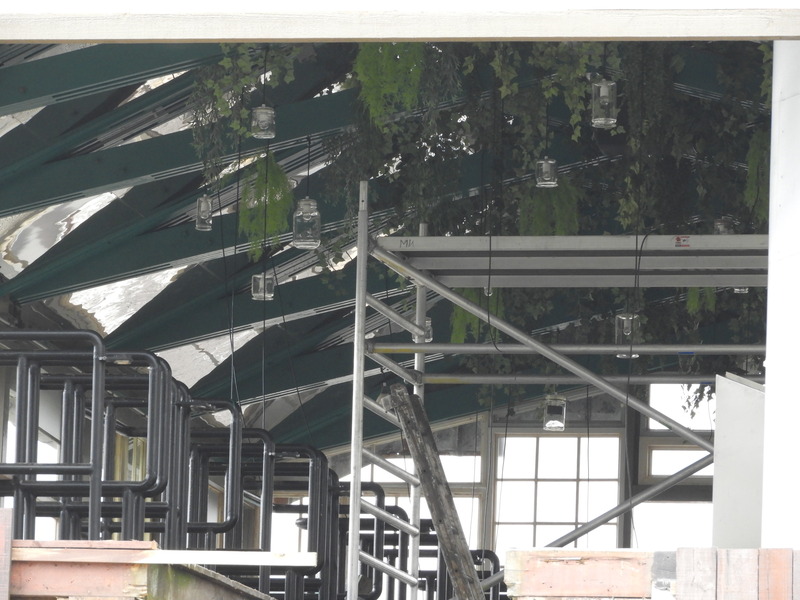 The rest of the area has special kind of “theming”. 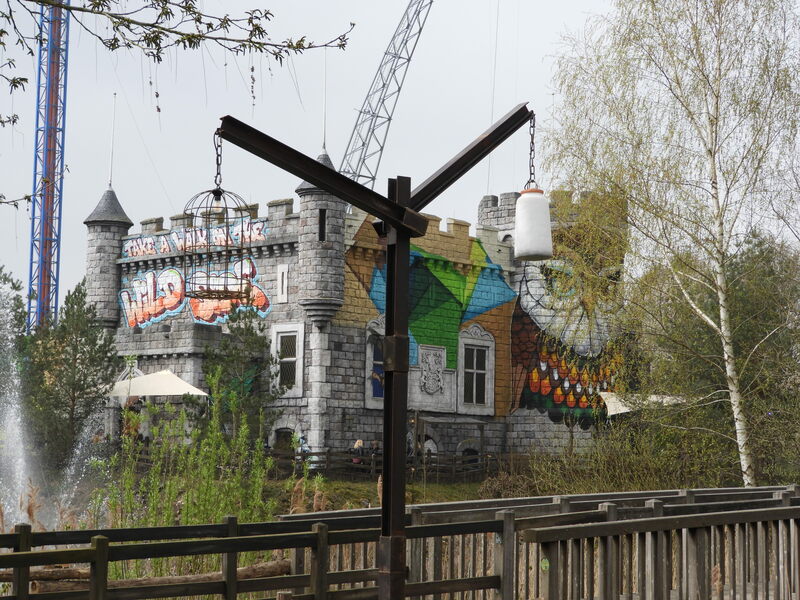 Honestly, as Walibi Holland is a thrill park, I don’t expect much. Less is more would be how I’d describe the best kind of theming. They did have some weird stuff going on as you can see for yourself. The other entrance of the area is this special structure with a car on top. Not sure how it fits the theme, but it does fit as a nice archway entrance. Let’s head back to Untamed. The pond next to the ride is all drained obviously, which gives a cool look at the supports. This will be a nice area for pics with reflection in the water once it’s the 1st of July! The drop you see goes right into the Step-Up Under Flip looks so cool! My body is so ready. After that you go right into the 97 degrees Outward Bank! Unknown what comes after that! We haven’t talked about the station yet! Here you’ll notice the wilderness too with lots of plants. It also has an interesting look with all the windows. Hopefully not too warm for the ride operators there! Finally, let’s end with the logo. They took a similar sign to the one near Goliath. Not bad and guess what we got at the end of the day as a souvenir with that logo on. A shovel! And like an actual big one! 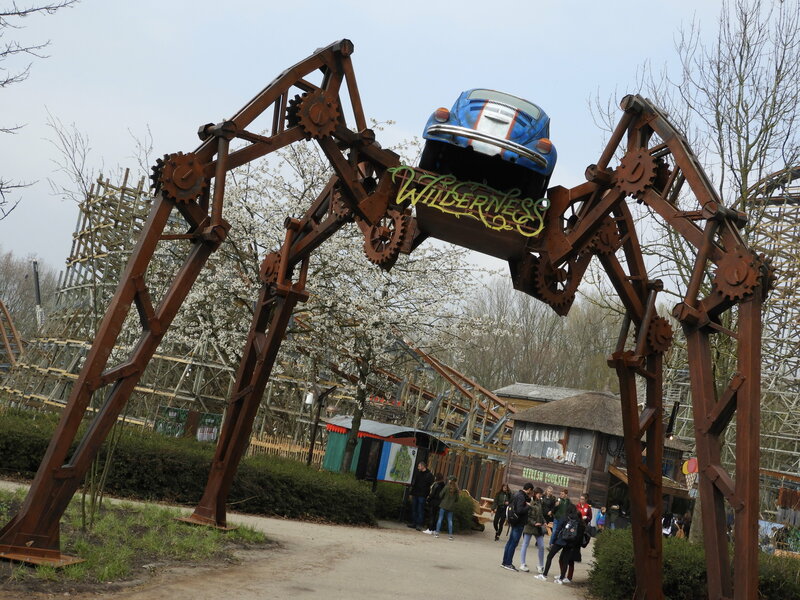 Very funny and original Walibi! 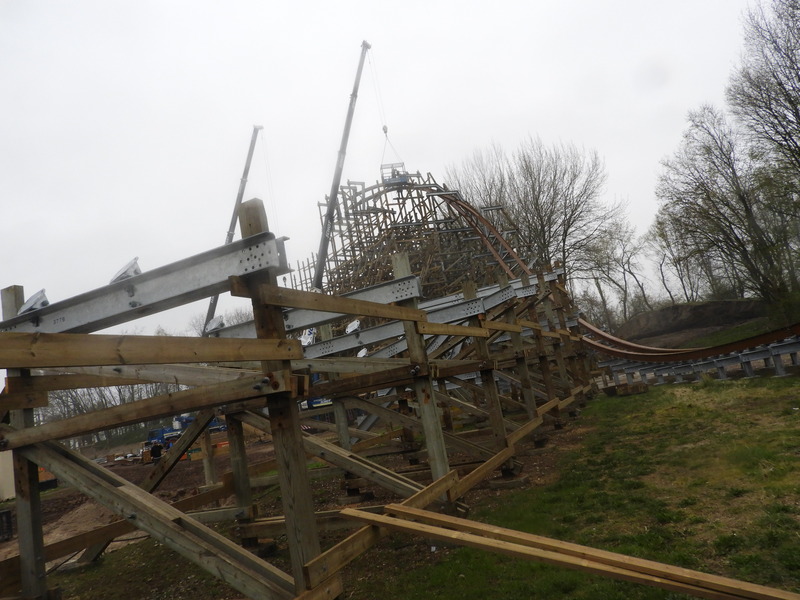 All in all, we’re so ready for the 1st of July to ride this 5 inversion, 14 airtime hill coaster. A big thank you and see you soon!